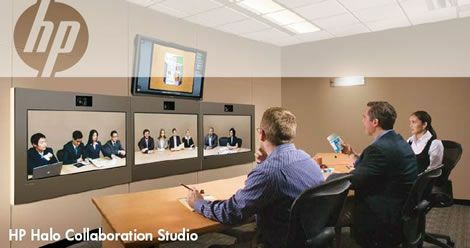 Videoconferencing solutions enable online meetings and face-to-face collaboration and provide the ability to record conferences, support for large numbers of people and high-definition video. 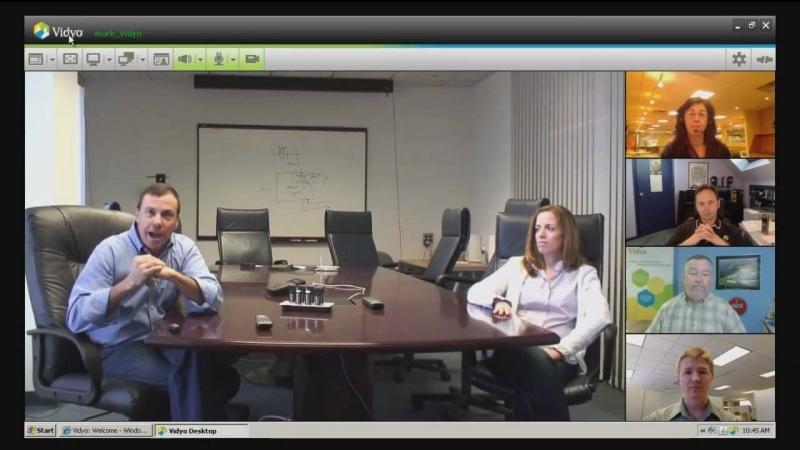 Meet face-to-face with remote customers, suppliers, and partners using the Cisco TelePresence. 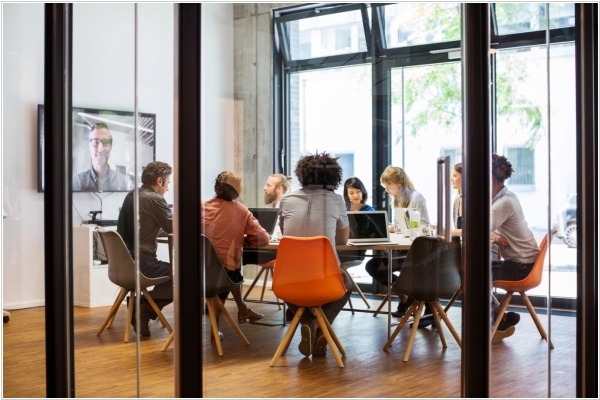 Build and scale differentiated video collaboration rooms to meet the needs of your organization—from small huddle spaces to large, customized board rooms. 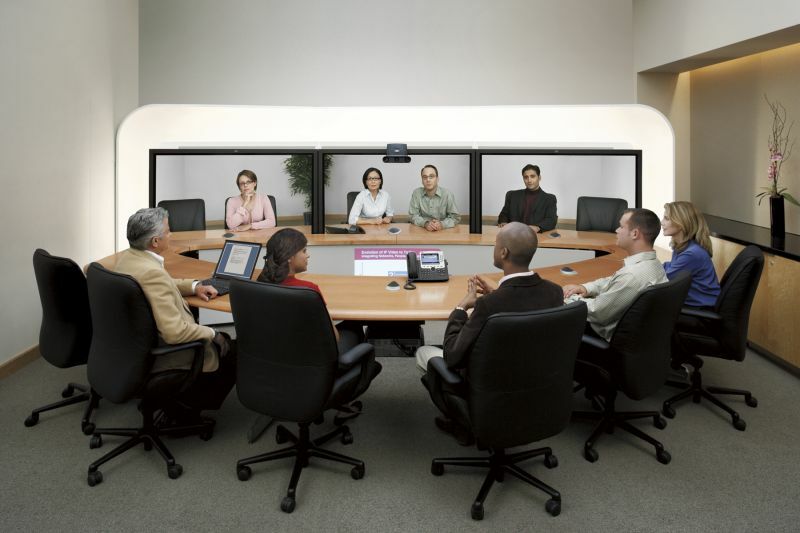 Now you can with the Cisco TelePresence SX Series, a powerful and flexible technology platform designed for integrators. The Vidyo portfolio includes everything you need to deploy HD video collaboration to everyone in your organization, from core infrastructure to solutions that video-enable any device or application. 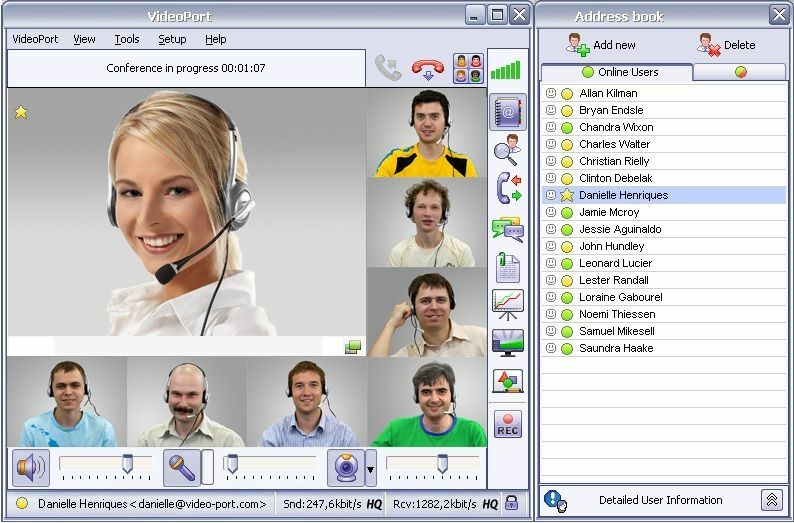 Vidyo works the way you do. It runs on the devices you’re using now from smart phones to tablets, desktops to video room systems, bringing HD-quality video and content to every participant. Cloud-based video conferencing service offers the majority of TrueConf Server features without the need to install a dedicated video conferencing server. To start using your TrueConf Online service, all you need is a webcam, a microphone or headset, and Internet access. 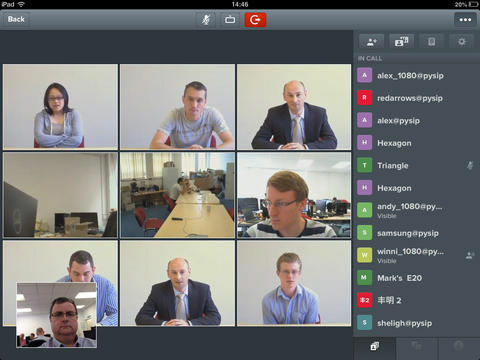 Designed for group video conferencing in private networks at any level of complexity, TrueConf Server guarantees secure, reliable corporate communication. 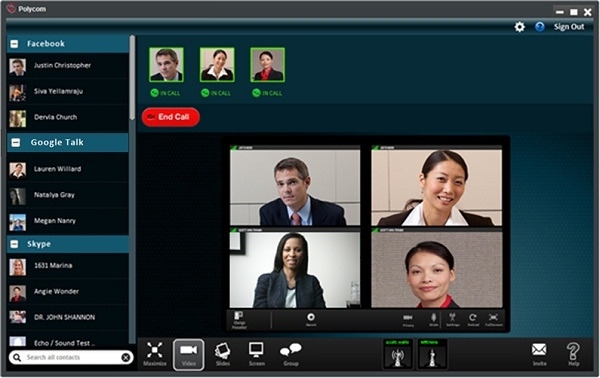 TrueConf Server is easy to deploy, scale and integrate with LDAP, corporate PBX or SIP video conferencing endpoints. 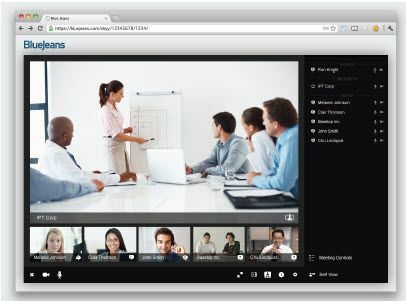 Enable anyone—inside or outside your organization—to join your virtual meeting room with freely distributed Scopia Desktop and Mobile Applications. Using any device, from any location, moderate or participate in a meeting, share content, discuss, and make decisions. 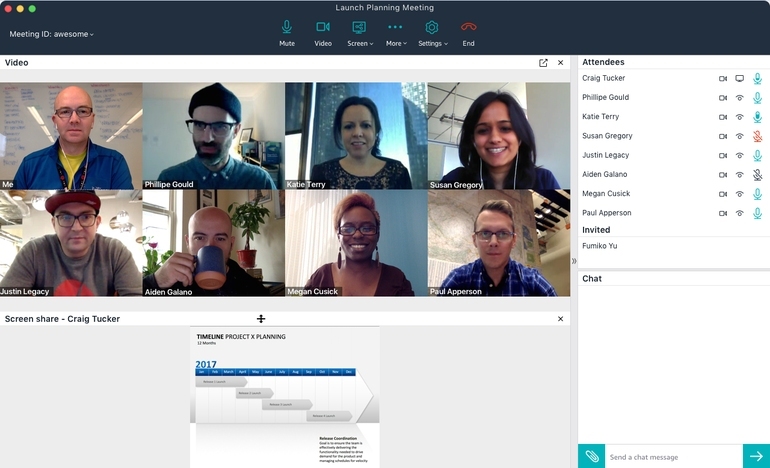 Acano's platform-enabled audio and video meetings, screen sharing and chat help you connect and collaborate with your team. 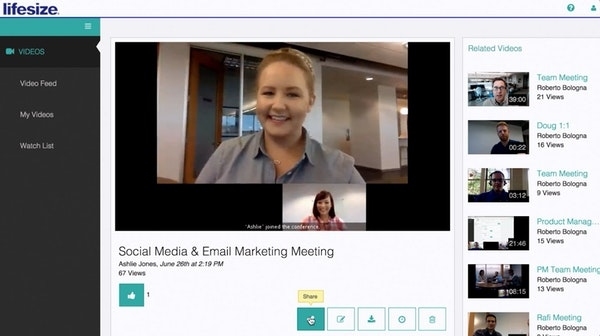 Google is enhancing its videoconferencing system Google Meet with voice commands. This will allow users to say, “Hey Google, start the meeting.” And this is just a starting point. They promise to be adding additional commands over time. They will be adding this functionality later this year. 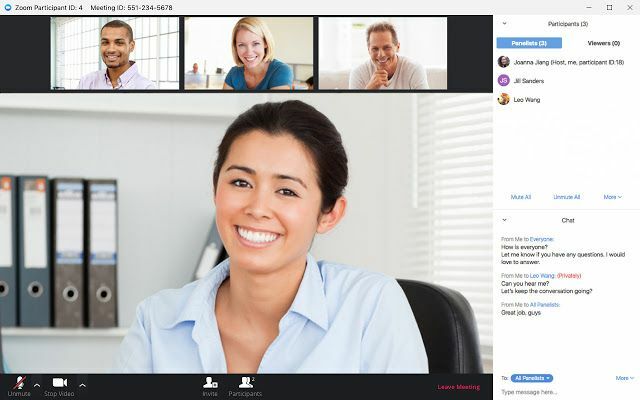 Just last Fall, the company launched the Hangouts Meet hardware program, which provided a way for Meet customers to launch meetings using Google or other hardware such as the traditional Cisco or Polycom hardware found in many conference rooms. 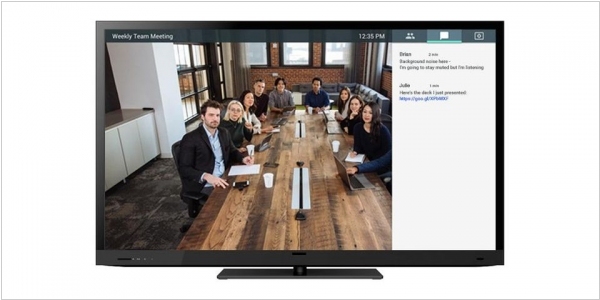 Google reports that customers have set up thousands of these Hangouts Meet-enabled meeting rooms. By providing some simple commands to set up the meeting, invite participants, join a meeting and so forth using your voice, it can greatly simplify the sometimes complicated activity of meeting administration, which even after all these years often seems unnecessarily complicated and frustrating for many people. 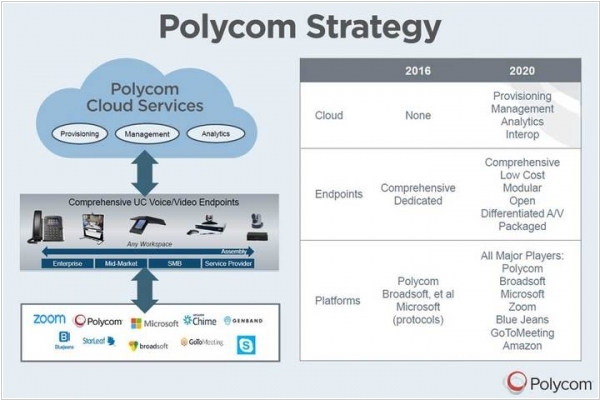 Polycom is expanding its cloud capabilities for enterprises with Polycom Cloud Services. It's a unified cloud solution that initially is focusing on giving enterprises the tools to easily provision and manage the myriad voice and video endpoints that are in conference rooms around the world. The vendor’s Polycom Device Management Services (PDMS) is aimed at enabling enterprises to manage those devices, measure their performance and troubleshoot any issues that arise. With the service, customers are able to provision, update and secure tens of thousands of desk and conference room phones. PDMS initially will be available for audio systems, but Polycom officials expect to expand its support to video conferencing devices by the end of the year. 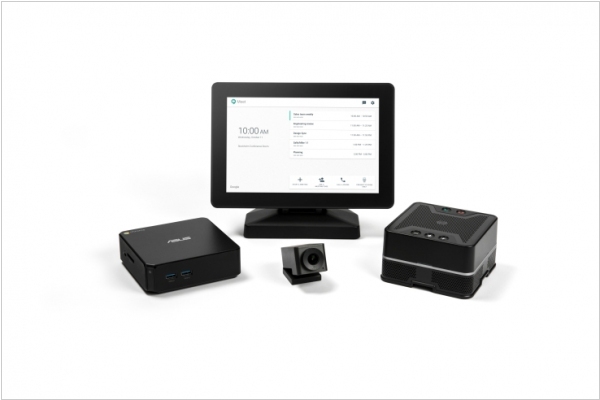 Hangouts Meet, Google’s service for running video and audio meetings, is getting a few new hardware kit that includes a touchscreen controller, speaker microphone, 4K camera and an ASUS Chromebox to control it all. For a while now, Google has sold numerous meeting kits based around the Acer and ASUS Chromeboxes at prices that range from $999 to $1,999. That was before the Hangouts Meet and Chat schism, though (which is still confusing), and this new kit is specifically geared toward Hangouts Meet and G Suite Enterprise edition customers. It’s also the first set to feature this new touchscreen controller (though that, too, isn’t the first touchscreen specifically geared toward Hangouts meetings). That touchscreen, Google tells me, is a 10-inch MIMO Vue capacitive display with HDMI capture. These screens typically retail for about $499 outside of this kit. GoToMeeting launched GoToConference - all-in-one hardware system that lets you set up a small to mid-sized conference room to be ready to join and host meetings in an instant. More affordable and less difficult than alternatives, GoToConference brings high-quality video and audio to your meetings rooms. 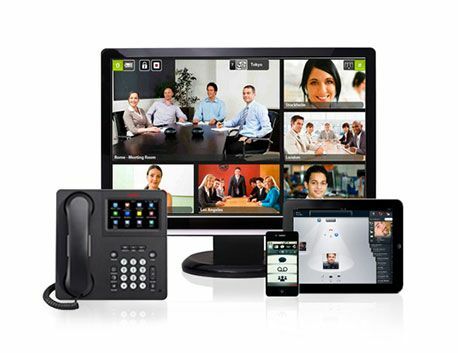 The devices work together seamlessly, so an IT or AV tech can set up a video conferencing hub in minutes. Connect the devices to a screen, turn them on and call it a day. The GoToConference bundle comes with the hardware and software you need to set up a huddle room in minutes. 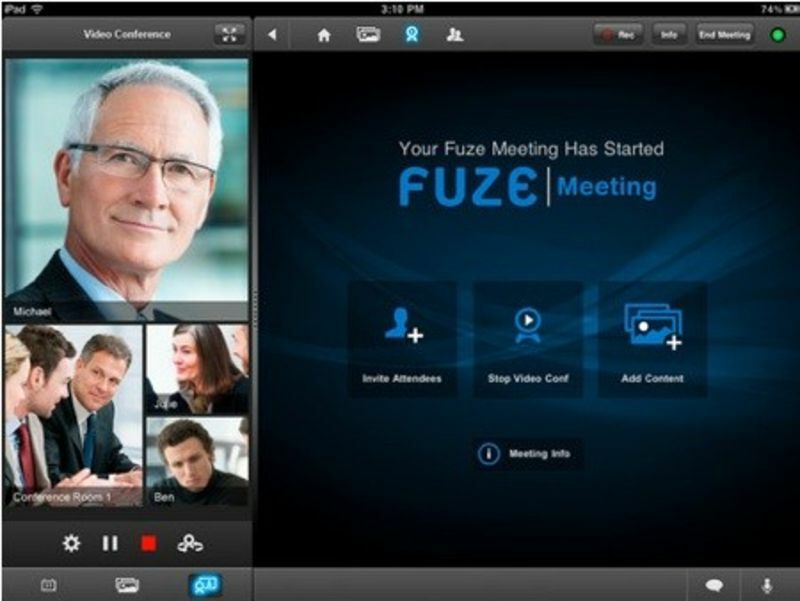 It’s easy to start a meeting or invite others to join − just click Start or enter a meeting ID. GoToConference includes: USB conference phone, 1080p HD Logitech webcam, Chromebox computer, wireless keyboard and touchpad, GoToConference subscription.